Q: What do the following cities have in common: Northampton, Edinburgh, Oxford, Nottingham, Cheltenham, Wolverhampton, Darlington, Blackpool, and Bradford? A: They’re the locations which have theatres featuring in the forthcoming tour of a bold new production of Aldous Huxley’s Brave New World. “Brave New World” is a phrase that frequently enters discussions about the future. Even people who have never read Huxley’s book – or people who have long forgotten the precise contents – recognise the phrase as a warning about the future misuse of technology. In Brave New World, people lead lives that are… comfortable, even blissful, but which lack authentic emotional experience. As a result, technology leads to a curtailment of human potential. Overall, humanity is diminished in that Brave New World, despite the gadgetry and convenience of that future society. 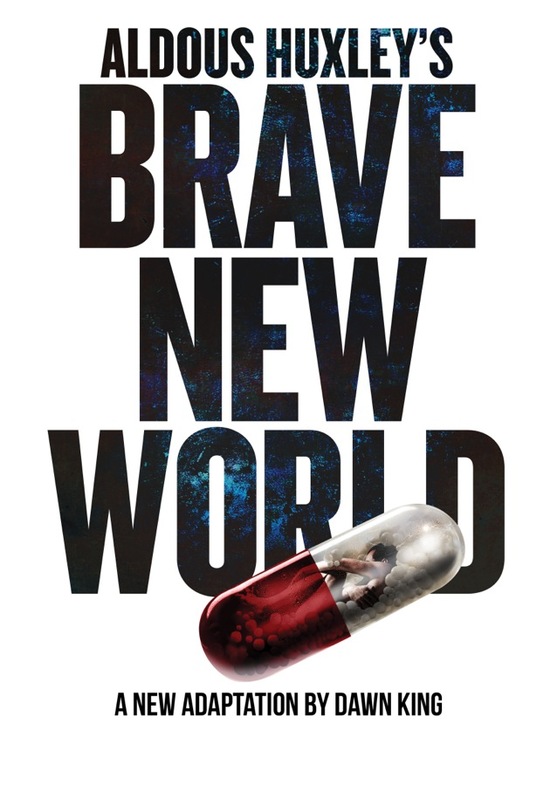 The version of Brave New World that’s about to go on tour has a script by Dawn King, is directed by James Dacre, features original music from These New Puritans, and is produced by Touring Consortium Theatre Company. The cast includes Sophie Ward, Abigail McKern, William Postlethwaite, Gruffudd Glyn, Olivia Morgan and Scott Karim. I found out about this forthcoming tour a couple of months ago, when I was asked to come to speak, as a futurist, to representatives of the different theatres which would be hosting the play. Could I provide some perspective on the play, and why it is particularly relevant today? I took the chance to read the script, and was struck by its depth. There are many layers to it. And despite Huxley having written the novel as long ago as 1931, it has many highly contemporary themes. So I was happy to become involved. Are we nearer to a Brave New World than we think? The pace of change is accelerating. Factors that will shape the next 10-20 years. Some of the social changes we’ve seen that are eerily close to what Aldous Huxley predicted in 1931. What questions does Brave New World pose for today’s society? Note: for the touring schedule – from 4 Sept to 5 Dec 2015 – see this listing. To read more about Brave New World from a transhumanist perspective, see this website by philosopher David Pearce.